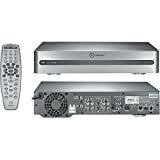 ReplayTV RTV5504 40-Hour DVR -- Less Than $50 after MIR!!!! Just picked one of these up. $99 and change on sale price less the whopping $50 rebate! Great starter box or good to throw an additional hard drive into and juice it up storage wise (my plan).